I got this idea from a pin on Pinterest and wanted to remake my own. RaymentWire was selling this orb for about $85 US dollars. I'm never interested in spending more than seems reasonable so the plan was to DIY. Originally I thought that I would get a Chinese lantern and rip out the paper covering, but my hope for an inexpensive alternative was blown apart. The lantern I purchased was very inexpensive and I should have realized that it was not held together with wire - the paper was the structure. As soon as I pulled the paper off, the entire thing crumbled. What was a girl to do? Honestly, I felt defeated and was about to give up, but realized that I had a hanging basket that had not been used this spring and was sitting underneath my deck. I had purchased the hanging basket about five years ago and have been replacing the liners each season. I did not have the time to plant these baskets yet and honestly wasn’t going to use them anyway. These hanging baskets were perfect for repurposing. This was really easy and it only took about 10 minutes. For sure, it will take longer for the ivy to grow and cover the wired skeleton sphere. First, buy three small ivy plants. Transplant all three into one of the plastic containers so you have more plant to cover the orb. 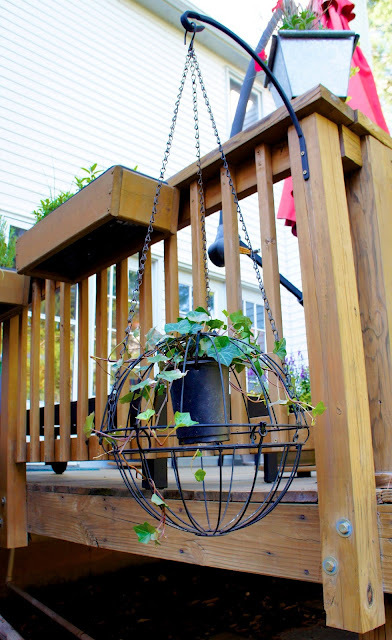 Take the layered hanging planters and take off the metal hooks that are attached to the chains. 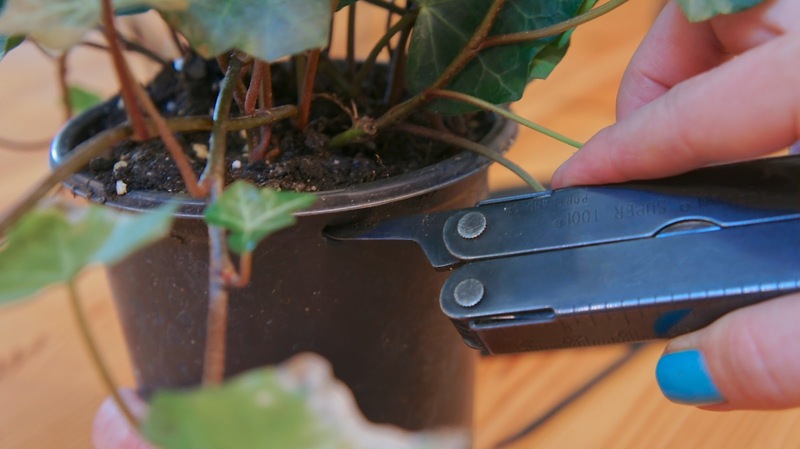 Using an awl or sharp point to put four holes equally around the plastic container with the ivy. Make sure you put the hole below the lip of the container so the zip ties won’t cut through the container. Using four zip ties, put one through each of the holes in the container. Do not connect the end yet. 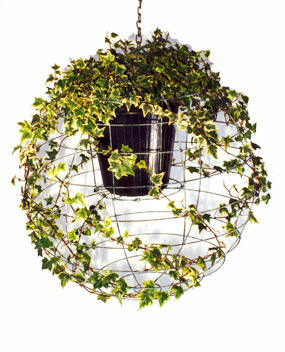 Invert the larger wire basket above the top of the ivy plant. Loop the zip ties to the inverted wire basket. 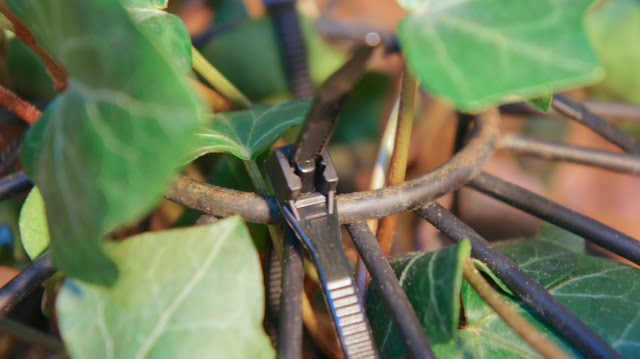 Do not zip the zip ties too tight, you want the ivy to hang a bit. Trim the excess ends of the zip ties. 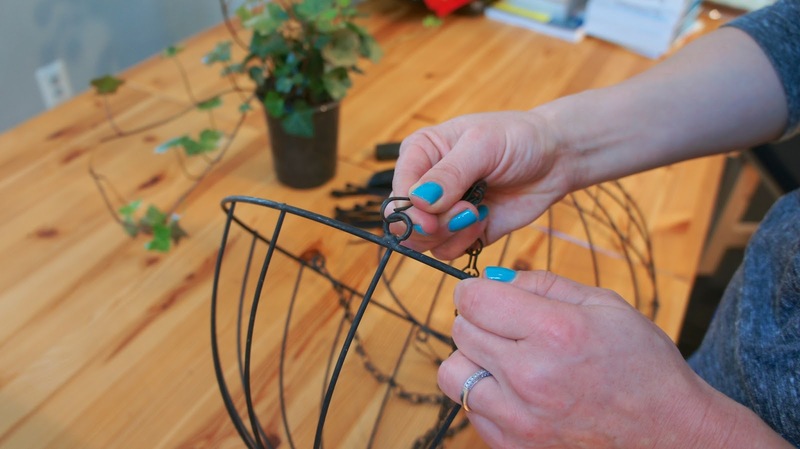 Connect the smaller wire planter to the bottom of the larger planters with some more zip ties. You will need another person to hold the top so that you can make sure the zip ties are connected in the same length. Trim the zip tie end when done. 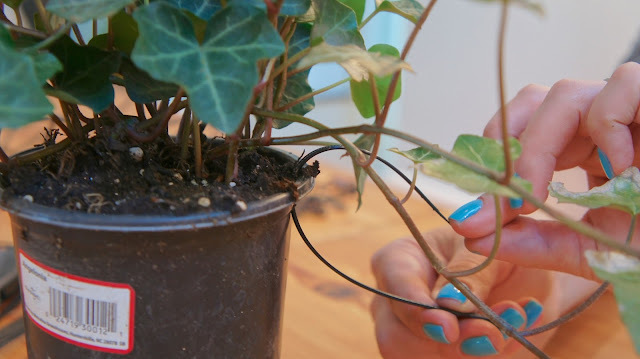 Take the ivy and loop it around the wire so that when it grows, it will cover the wire entirely. 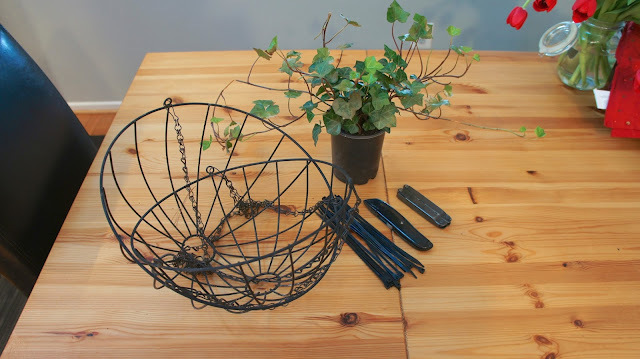 Repurpose the metal chains by hanging them from the middle of the orb. My metal chains had two hooks attached to each chain for both layers. Attach the hooks to the bottom of each of the three chains. When attaching, hook one on each side of one of the wires, this way the chains won’t slide around. Hang the ivy outside and wait for progress. 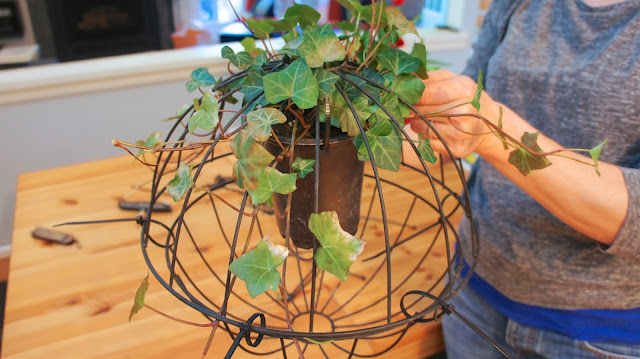 Hopefully it will look like a big orb of ivy in a few weeks like the one above from RaymentWire. This project was easy and only took about $15 to make. 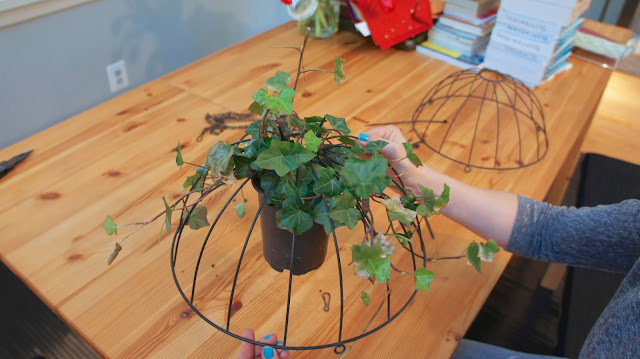 The ivy cost around $5 and the hanging planter is only about $10. I already had mine so it really was an inexpensive project. Only time will tell if this repurposed project will be successful. The weather has been warm and has been raining frequently so I know the ivy will be growing. Try this out and I hope you will have success. I'll update when progress is made. Labels: Decor., DIY., Outside., Pinterest, Repurposed.